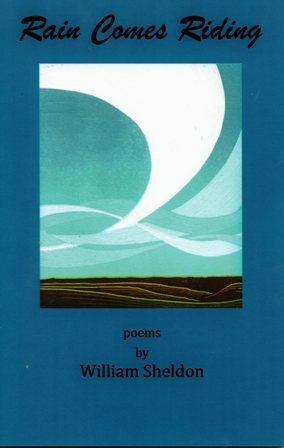 RAIN COMES RIDING details poet William Sheldon’s passion for the Great Plains. People loom against the horizon—his family, neighbors, runaways, working men, and also the people who lived in this place before, whose scattered flint tools remain still unchanged. He is a poet who embraces fully the contradictions of simulated realities existing, fragmented, in a timeless universe of flint and bluestem grass. Sheldon is a skilled, smart writer who has much to tell his readers about how to live with good conscience. This second book of the poet shows him creating a new genre of ballad. 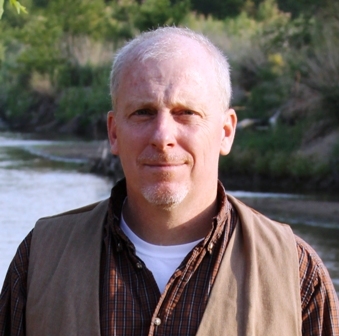 William Sheldon lives in Hutchinson, Ks., where he teaches. His book Retrieving Old Bones (Woodley),was named a 2002 Kansas City Star’s Noteworthy Book. He has an MFA from Wichita St. Univ. deeper into the garden’s soil.